* Galaxy S 2 flashing H/W 1.5+ support added. 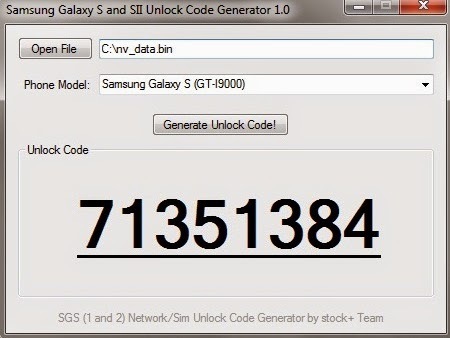 * Unlocker confirmed to work also on Samsung Captivate (US version of SGS1), just choose I9000 when you want to generate code. 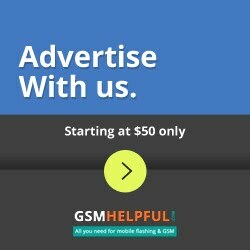 * Added direct patch method for Galaxy S 3 devices. * More GFX card support added to hash cracking module. * Patching method confirmed working on HV 1.4+ version ! * ATI RV 7X0 card or nVidia 'CUDA' one (G80+) required to decrypt pass in this release. Next version will not use GPU but it will be slower. For these who dont have supported GPU, please wait. * Warning: if generated code will not work for a first time when you are sure you typed it correctly, report it to us and stop trying, your phone will lock out after 3 unsuccessful unlock tries. Pop-up box will show up. Complete the first field (MCC/MNC) with the network you want your phone locked to (for example 260 03 where 226 = Poland; 03 = orange etc.) and the second field (Control Key) with the Generated Unlock Code. After pressing OK, your phone should relock. ALWAYS DO BACKUP OF EFS PARTITION BEFORE REPLACING FILES IN THIS DIRECTORY !! I'M NOT TAKING RESPONSIBILITY FOR DATA LOSS! REPLACING NV_DATA.BIN WITH BROKEN VERSION MAY CAUSE YOUR IMEI LOST! - YOU HAVE BEEN WARNED!